Risk in Purchasing Property Subject to a Pending Foreclosure and Lis Pendens - В сложной финансовой ситуации приходит на помощь кредит наличными в Казахстане. 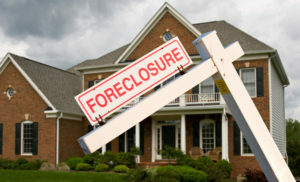 When real property is the subject to a pending foreclosure action where there is a lis pendens (a formal notice), a buyer that purchase the property outside of the foreclosure “does so at his own risk because he is on notice that the property is subject to the foreclosure action [through the lis pendens].” Bymel v. Bank of America, N.A., 159 So.3d 345, 346 (Fla. 3d DCA 2015). The buyer is not permitted to intervene in the pending foreclosure action. See id. at 346-47. Two issues were addressed on appeal. First, the buyer that purchased the property through the homeowner’s association’s foreclosure of an assessment lien should NOT have been allowed to intervene. “A purchaser of property that is the subject of a pending foreclosure action in which a lis pendens has previously been recorded is not entitled to intervene in that foreclosure action.” The Bank of New York Mellon, supra. This language is the reason why filing a lis pendens is powerful! The lis pendens puts the subsequent buyer on notice that he is purchasing the property at his own risk knowing the title to the property is subject to a pending lawsuit. Second, even if the buyer could intervene, the buyer purchased the property subject to a superior interest. In other words, the mortgage was superior to the homeowner’s association’s assessment lien so when the buyer purchased the property at the foreclosure sale of the assessment lien, the purchase was always subject to the superior mortgage. Even if intervention was proper, the buyer still would not be able to participate in the bank’s foreclosure action as if the buyer were a party to the original note and mortgage. It is extremely important in situations like this that you get a Foreclosure Lawyer involved to go through the case with you. It is a very complex situation to be in, and I would recommend not doing it alone.